Democrats are looking for big wins in the 2018 mid-term elections. And they're eyeing a long-time Republican district in Northern Virginia. 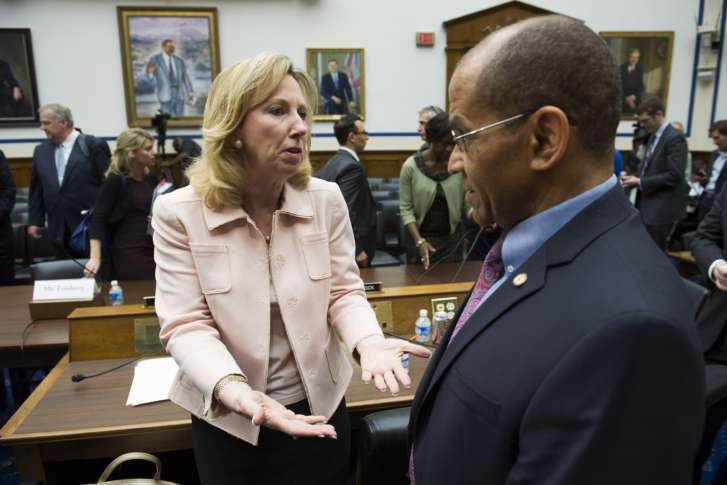 WASHINGTON — Virginia Rep. Barbara Comstock outperformed fellow Republican Donald Trump in her sprawling Northern Virginia district last fall winning her first re-election battle by six points. But her next race could be tougher. “Northern Virginia has become increasingly Democratic over the years,” said Kyle Kondik, managing editor of Larry Sabato’s Crystal Ball newsletter at the University of Virginia Center for Politics. And at least six Virginia Democrats, according to The Washington Post, are thinking about running — or have already entered the 2018 campaign to represent a district that stretches from McLean to Winchester. “Affluent, well-educated districts like Virginia 10 really did not respond very well to Donald Trump’s presidential candidacy,” Kondik told WTOP. But he said Comstock, “a proven winner in districts that are bluer than the national average,” will be no pushover in 2018. Comstock beat her Democratic challenger LuAnn Bennett last fall taking 53 percent of the votes to Bennett’s 47 percent. But Hillary Clinton beat Donald Trump in the district by about 10 points, and enjoyed a 6-point win statewide in Virginia. Whoever wins what is bound to be a crowded Democratic primary next year will need a lot of help, Kondik said. “The candidate … has to raise a lot of money, and outside groups have to invest in a pretty big way,” he said. And it’s always an inefficient media battle, because candidates must devote such a large portion of their cash to D.C. radio and TV stations. “Because you’re targeting Virginia 10, a lot of people are seeing those ads … who don’t live in the District. D.C. is among the most expensive media markets in the country,” Kondik said. According to the Federal Election Commission, Comstock filed for re-election less than two weeks after winning her seat for a second term. Her original FEC filing on Nov. 22 was amended on March 10. She has raised more than $500,000 in the first quarter toward her re-election run, her campaign staff said. Two Democrats have already made it official. Army veteran Daniel Helmer filed his candidacy with the FEC on March 31. Julien Modica, who has run at least three times previously in the 10th District, filed for the 2018 race on Jan. 31. In his last campaign, he reported taking in more than $550,000 in contributions, but he spent just $2,000.